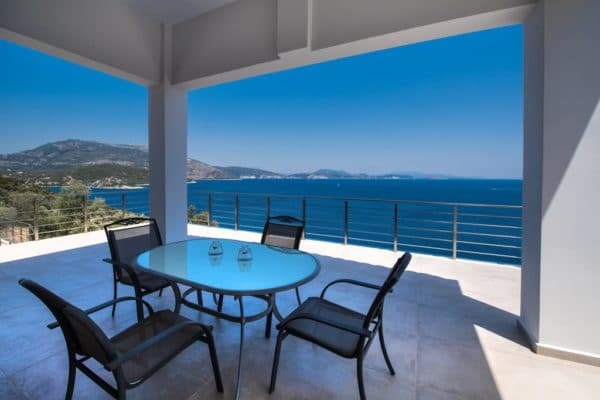 Villa Lefkas is located directly at sea on the island of Lefkas. 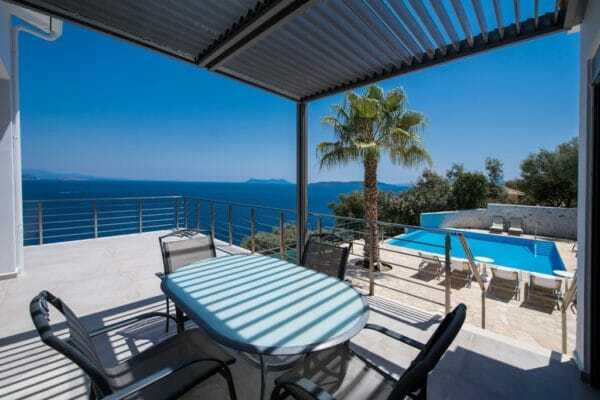 The villa is located on 4500 sq metres of land assuring total privacy. 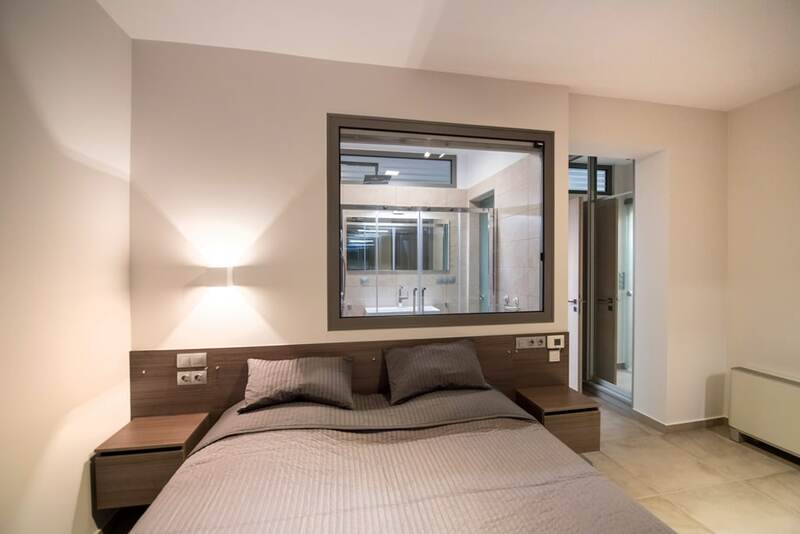 In 2017 Villa Lefkas was completely converted into a contemporary villa designed by a top architect, doing full justice to the superb location of the villa. 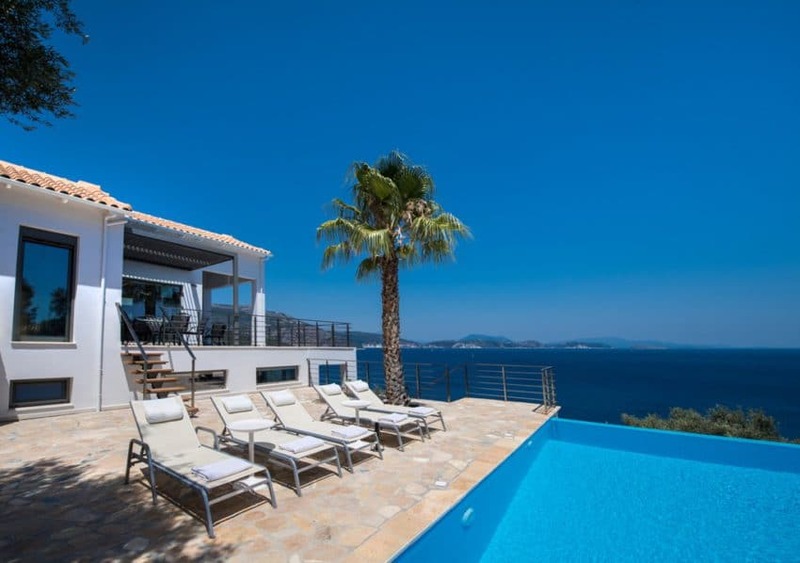 Villa Lefkas is now one of the most luxurious villa’s on the island of Lefkada. 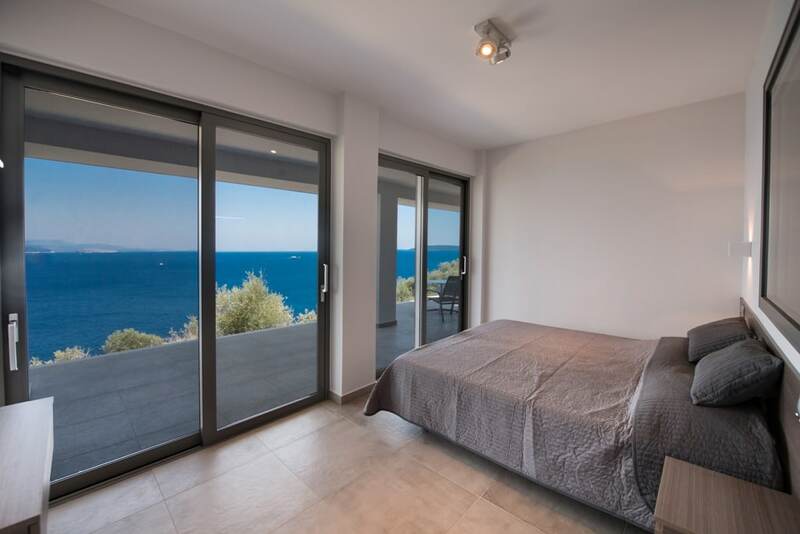 The villa has a waterfall at the entrance, automatic roller shutters, full climate control and large windows to enjoy the sea view from every room. 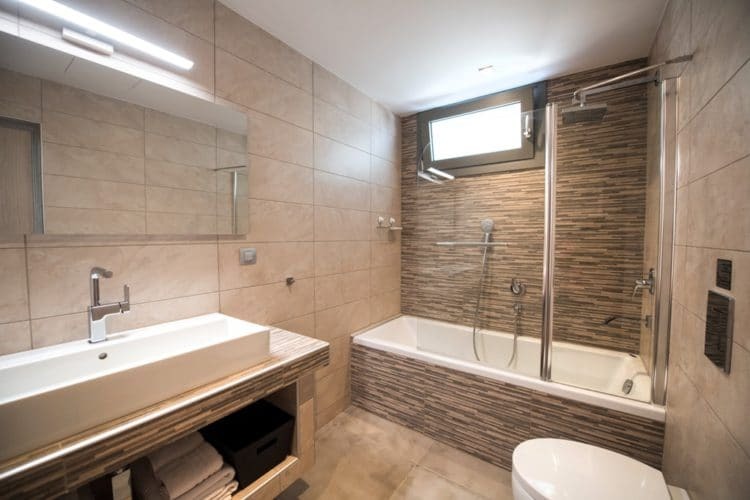 Furthermore the villa is equiped with all facilities needed to fully enjoy your holiday, such as a modern kitchen, private infinity pool, private swimming platform at the sea. 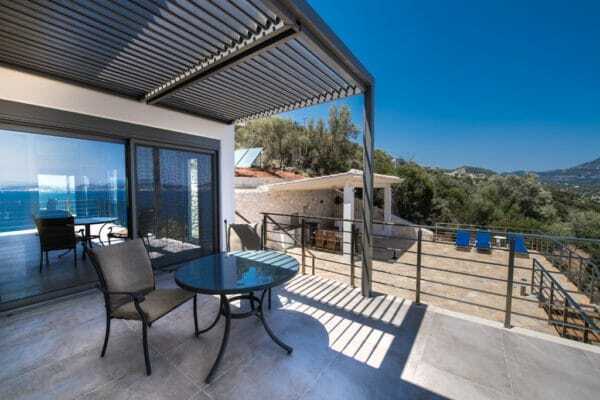 Villa Lefkas can accomodate up to 8 persons. At the entrance of the house is a waterfall where the water falls from the rock into a pool. When entering the villa you arrive in a spacious living room with separate living and dining area. The decoration is modern and in line with the design of the house. The central themes are the stunning views from all areas in the house. A new and fully equipped (german) island kitchen provides you all the modern comfort. Through large sliding doors you access a large balcony of 75 qm2 where a fantastic panorama unfolds, here you can relax at the lounge area, or have breakfast at the large table overlooking the sea. 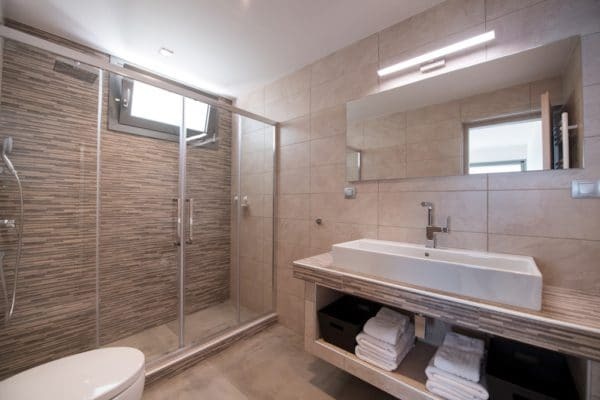 From the living area you have access to a spacious double bedroom with large closets with en-suite bathroom and an individual veranda with beautiful sea view. 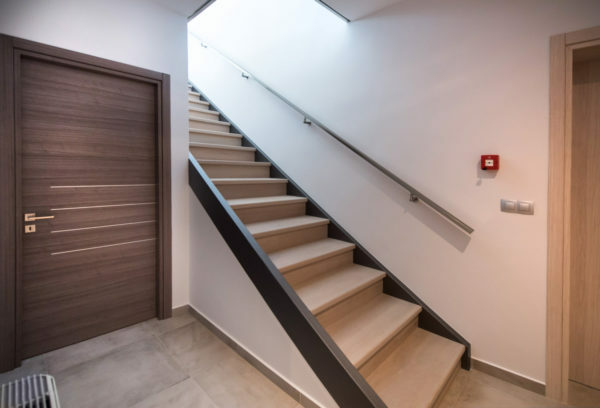 An internal stair takes you to the lower floor where we have three double bedrooms, each with large closets, en suite bathrooms and private terraces with stunning sea views. 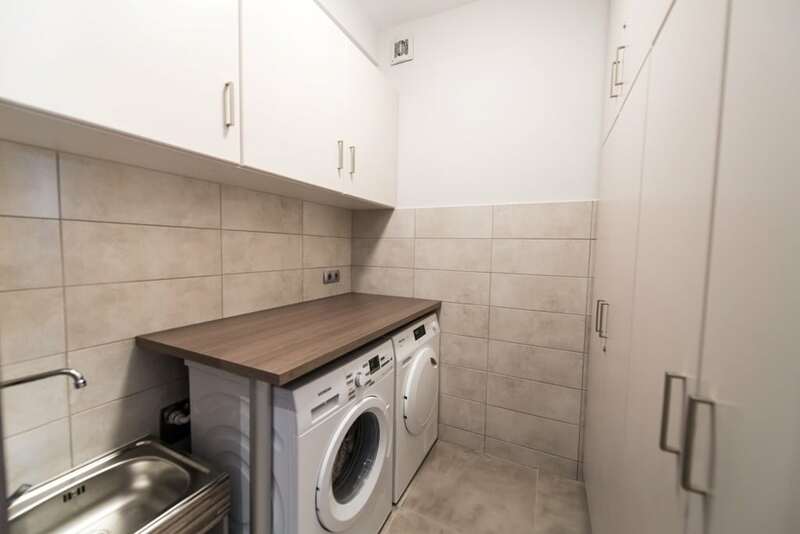 On the lower floor is also a separate laundry room. 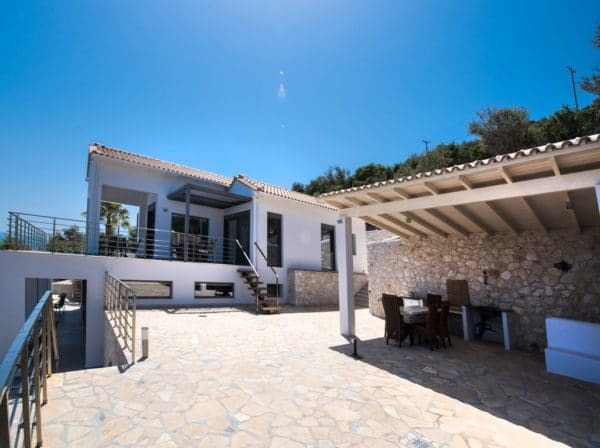 Outside we have two terraces, one on the South side of the villa is a large sunbathing area with a private pool (45 m2) and plenty of sun loungers overlooking the sea. On the other side of the villa is a 120 square meter terrace, with outside kitchen, barbecue and lounge area. Here you can enjoy the view and the nature in all peace.